Never shy of embracing innovation, TrialGP promoters Sport7 were keen to accept the bold proposal from local organisers of next weekend’s TrialGP Italy to run qualification 2 during the hours of darkness. After consultation with the other series key stakeholders – FIM, FMI – national federation, manufacturers and riders this exciting new concept was given the green light. The purpose built Metzeler Offroad Park that will host the final round of the 2018 TrialGP series on 15/16 September is the ideal venue to introduce this initiative with the highly acclaimed enduro / trial facility already boasting permanent lighting that has been used to good effect at previous high-level competitions. Both the EnduroGP round held at the park earlier this year and previous editions of the famous – The Wall – enduro have both been run under the lights. Qualification that was first introduced in 2017 has quickly grown in status with this season’s format now including two qualification sessions ahead of the main competition. 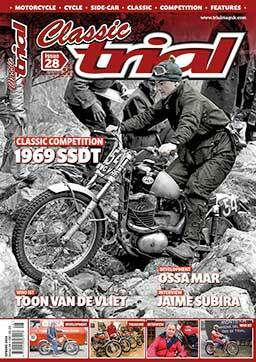 After initial reservations about its introduction, the riders have grown to love this aspect of each event and now fully embrace the process with each of them giving maximum effort to put on a real show for both the fans present at each event and the thousands who watch the live broadcast around the World. The event timetable for TrialGP Italy has been adapted accordingly, with official practice now moved back to 14.30 to 17.30hrs during Saturday’s revised programme ahead of qualification 1 at 18.30hrs and before the floodlit finale – qualification 2 – gets underway at 20.00hrs. Click here to view full timetable for TrialGP Italy. 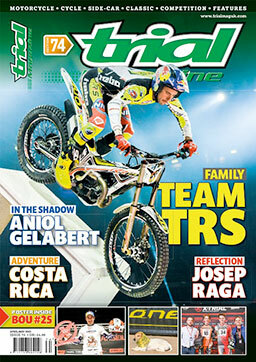 Follow all the latest news about TrialGP Italy visit TrialGP.com.